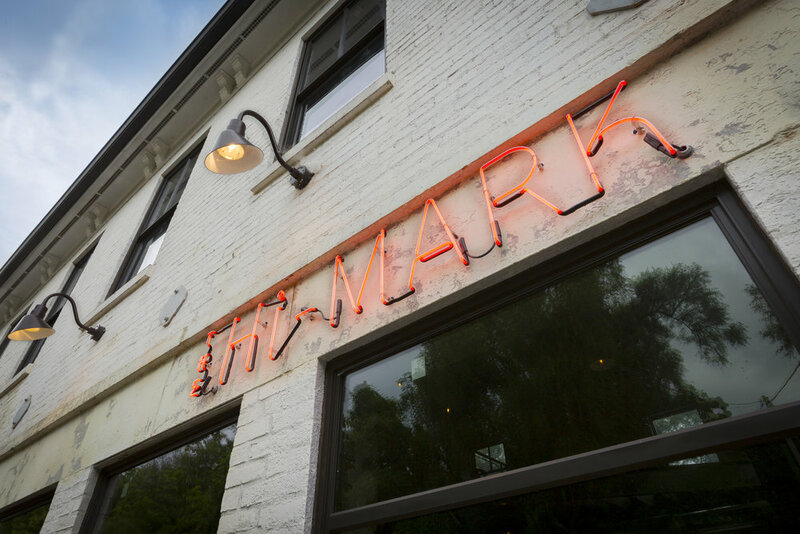 Planning for Hi-Mark began in late 2014 when Nick Motz approached us with an interesting challenge: convert a small, historic house in a flood-prone part of the East End into a new bar and restaurant. 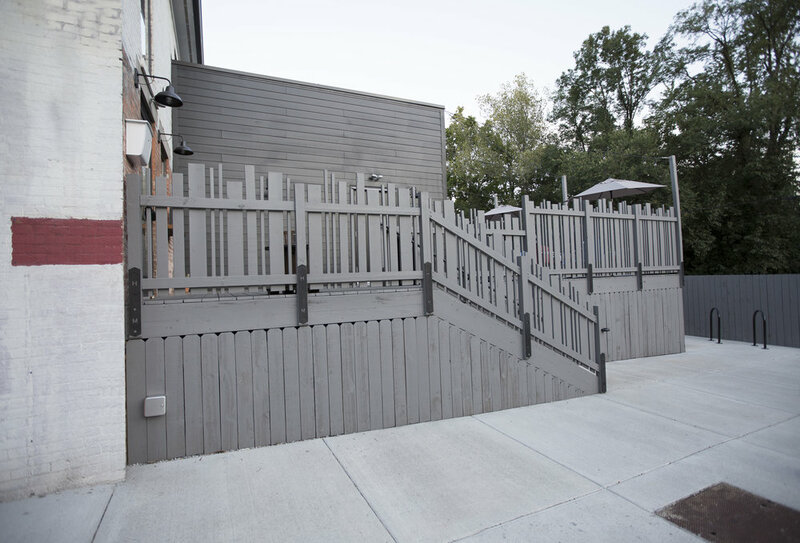 Our solution was not to fight the flood, but instead raise the floors 3' above the flood line, creating new openings and relationships. The historic building was left raw and exposed, with window sills, fireplaces, and joists juxtaposed with the new floor levels. 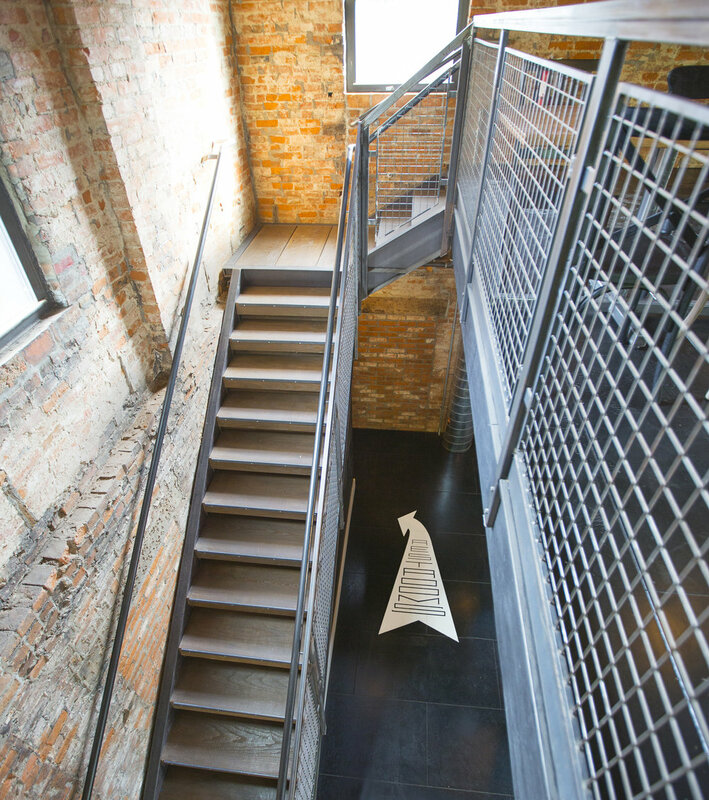 The concept of the restaurant was also informed by the flood, with references to the historic 1937' flood which came 10' above the first floor. The end result is a unique, gritty space that exudes neighborhood vibes and hometown charm.